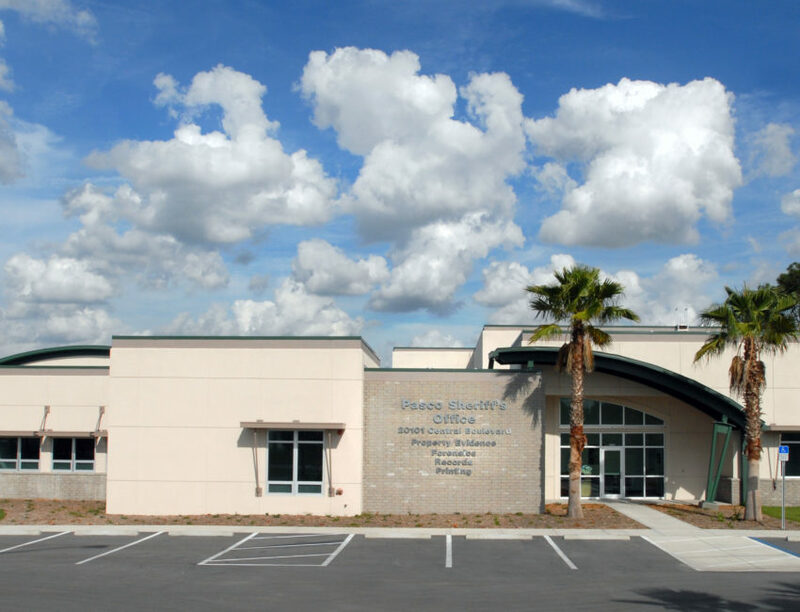 Pasco County Sheriff’s Office – Forensics Building – Spring Engineering, Inc.
SEI was commissioned to complete the architectural/engineering design of a 23,289 S.F. 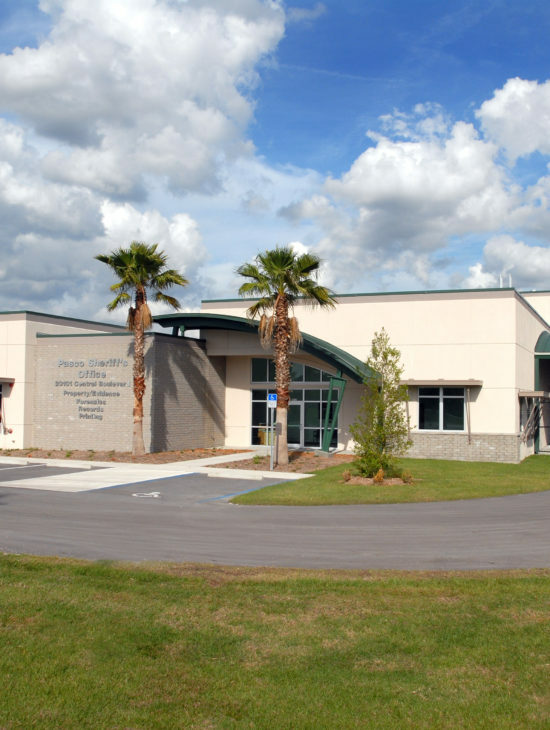 Forensics Facility with entry and drive portico for the Pasco County Sheriff’s Office located in Land O’ Lakes, Florida. 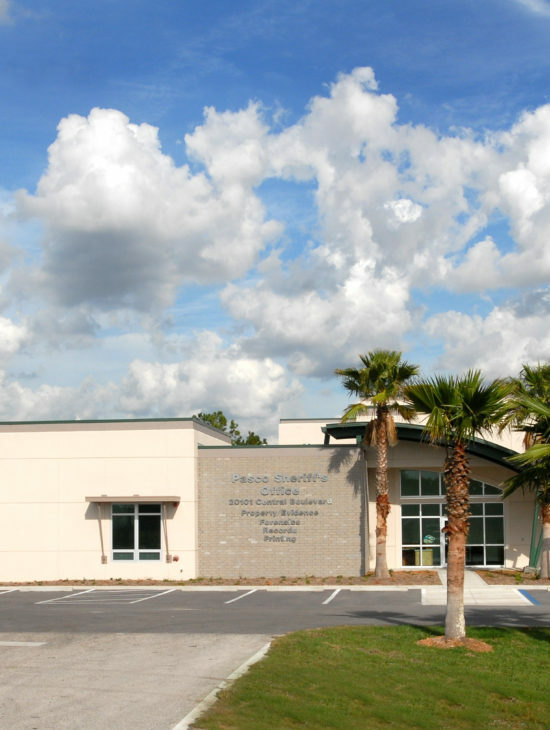 Two (2) primary areas consisting of a highly specialized laboratory for the investigation of evidence associated with criminal activity, which included a special indoor laboratory area for evaluating automobiles used in crimes and another area for housing all the evidence used at trials.